Steve Wallen Swim School has been teaching swimming and water safety for over 35 years to students ages 5 months to adult. The owners of Steve Wallen Swim School, Steve Wallen, and his son Kaleb, have over 50+ years experience between the two of them. Their experiences include teaching swim lessons and coaching swim teams as well as collegiate participation as they both competed at the NCAA Division I level. Their passion and involvement in the sport of swimming is one of the main reasons their swim school business has been so successful. 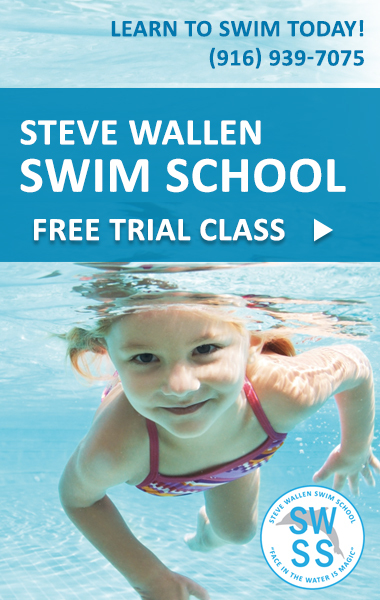 Whether you are looking to learn how to swim, looking to develop more confidence in the water, or looking to improve stroke technique and efficiency for your next competition, Steve Wallen Swim School has a program to suit your needs and foster your greatest potential. Our state-of-the-art indoor facility is heated to 90 degrees and allows us to offer year-round swim instruction to our students. Contact us today to talk with a member of our staff about how we can help! We offer private swim lessons, semi-private swim lessons, group swim lessons, parent-tot swim lessons, and swim clinics. Our swim class schedules are flexible and are offered Monday – Thursday from 9:00am – 7:30pm as well as Sunday 9:00am – 1:00pm with classes starting every hour and half hour. Classes are generally scheduled 1 or 2 day(s)/week, but we also offer a blitz swim program where students can enroll for a week of swim classes in order to do a quick review of skills. Our blitz programs are ideal for students that have taken a break from swimming lessons and need a refresher before a vacation or other swimming need. Although our blitz swim programs are great, we highly recommend year-round swimming. Many students participate year-round with 1 day/week classes, as we find our students to achieve the most swimming success when they swim on a consistent basis. At SWSS, we firmly believe swimming should be a year-round activity in order to retain skills and achieve maximum enjoyment. Swimming is not only a fun activity but also a life skill that everyone should develop and maintain. This does not mean students can’t take breaks from swim lessons, but it is very hard for students to retain developed skills and swimming confidence when they only swim during the summer. A 6-month break during the fall and winter can lead to a regression in skills as well as a decrease in swimming confidence. It is of utmost importance for students, especially younger children to stay familiar with water and their swimming skills because it is just as easy for a child to fall in a pool during the winter. They need to stay current on their skills, so they know how to react in a life-saving event. Our indoor heated facility provides the opportunity for year-round swim lessons for students of all ages and abilities. Contact us today to enroll in swim lessons, or schedule a tour of our indoor facility. You’ll be glad you did! Next ArticleJohnston Creative Photography Strives for "Perfection in Every Pixel"